Not about the prediction, but about the hype. The book wasn't bad. In fact, I found myself enjoying it more and more as I progressed through the pages. In this book, the thing we call love is a disease. It's called amor deliria nervosa, precisely. Deliria for short. It's been 75 years since the government officially stated that love is a sickness and everyone, by the age of 18, must go through a procedure that would eradicate love from their being. The procedure is supposed to make them happy and safe forever. It won't make them feel desire or love. They won't even miss anyone or care too much about anything. Imagine living in a world like that. You wouldn't feel love from your own parents. You wouldn't be kissed, hugged, or cuddled by anyone. Anyone who did any of those would be assessed as Infected. I had to give the author two thumbs-up. Oliver succeeded in writing such a well-described and beautiful narrative. She made sure that every possible question that we have while reading is answered as we progress through the pages. The world-building was brilliant. On the beginning of every chapter, there would be quotes or excerpts from some kind of institute or book that existed in the world. That really helped me understand the world more perfectly. By half of the book, I could already imagine what it would be like to live in that world. The character developments are also spot on. At first, Lena was just a goody two shoes who obeyed everything she was asked to. She followed the rules and curfew. She even counted the days leading to her procedure because she couldn't wait to feel happy and safe forever. But then, she started breaking those rules that were stupid in the first place. She didn't do these without reasons, though. She had normal reasons. Like, going to parties and concerts and just to make out with her boyfriend. I didn't blame her, because that's normal, right? I also had a thing for her best friend. Hana. She was a really good best friend. She was actually the polar opposite of Lena in every way. But they managed to become a really good team and I loved them both for it. I liked how in the midst of untrustworthy people in that world, Lena could always rely on Hana no matter what. The romance wasn't instalove. She didn't exactly fall for him the second they locked eyes. It developed nicely, even though a bit rushed and too soon. It was nice reading their interactions. However, I did think that the love interest was too plain. Like, he had nothing to set him apart from other fictional guys in my mind. He was nice, that's all I know. The plot was interesting. It caught my interest since the beginning, which was a plus. It had a way of keeping me hooked to the pages. Even though the story was mainly focused on the romance, you would still be entertained by the action and everything else. 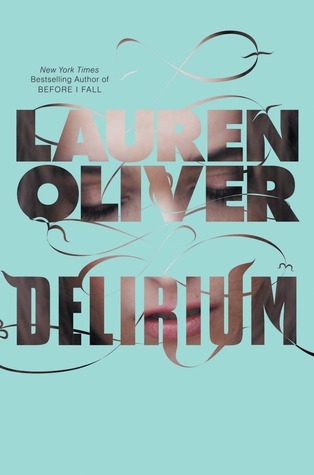 In all, I think Delirium surpassed my expectations. It definitely didn't disappoint and make me regret buying it for one third of the price at the book fair. It was a romance story, sure. But the romance is definitely not the only thing you could enjoy.